With it being the middle of summer, many people are going abroad but also want to able to maintain their training whilst not at home. Over the last few years I have been aboard lots and have looked at a variety of different ways to carry on running, so I have complied here my best tips for when running when on holiday or abroad. I have always found that the best thing to do when going abroad is to know exactly what there is around where you are staying. 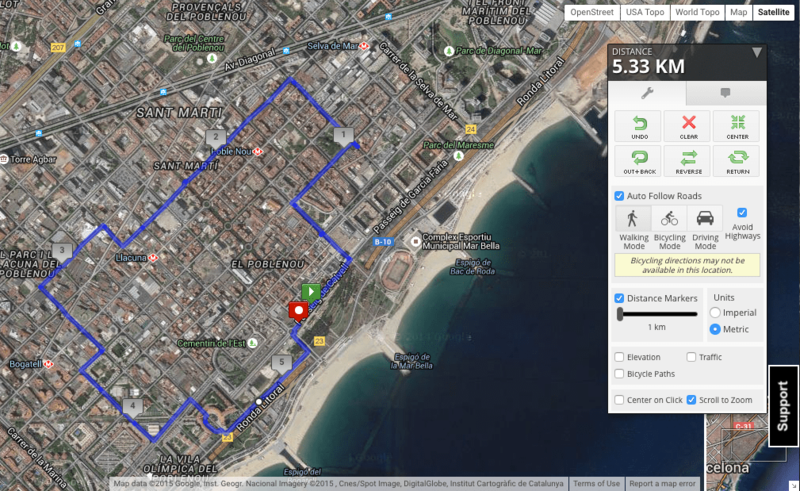 Now with the simple use of Google Earth and MapMyRun, you can effortlessly find and plan routes which you can run from where you are staying. The best tool which I always use is MapMyRun, here you can plan and plot your route whilst seeing how far they are! When I have been going anywhere that I haven’t been before, I will have a quick look on MapMyRun and find a simple block nearby which you can do laps around. This is always a good idea when in an unknown area so you can’t go too far astray and get lost. One of the best things I have done abroad is sightseeing whilst running. Sometimes, the whole sightseeing trips can be very long and boring, going long distances just to look at something for 5 minutes. Instead of these long arduous trips, you can incorporate these visits into a nice steady long run around the city. This is exactly what we did when in Paris last year. It is really easy to make a little route around back streets, taking in the culture and winding your way around to many of the best sights around. Here, in this case, we were able to go from places like the Notre Dame to the Place de la République very easily and see everything on a single 5km jog around the city. Depending on where you are staying, sightseeing may not be an immediate option. However, easy runs of this fashion are great to explore and find new places which you wouldn’t have otherwise visited. Just as when you are planning ahead and looking to find good routes to go on, you may also be able to look for a running track itself. If you are more of a rack runner who wants to maintain some god spadework then this is a great option. 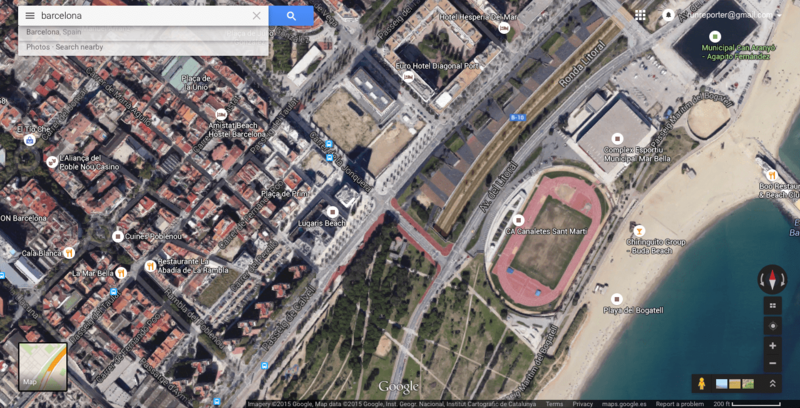 Currently, I am in Barcelona and just by luck there happens to be a track nearby. Normally, there will be a small fee which applies, however this will only be a couple of pounds. You may want to see if you can contact the track beforehand to see if they have any specific opening times. Whilst saying this, however it seems that many of the European ones are available all day round and there for public use which can be very useful if you want a quick and easy session. Depending on where you are, you may have some access to a range of different surfaces to run on which you wouldn’t normally run on. Instead of neglecting them, I would try and incorporate these into your plans, not avoid them. If you are on the coast in places such as Cornwall, runs along the beach, maybe on sandy roads are always good. Personally, I am not too put off from running on sand as many people are so if this is something you would like to try, give it a go! This is tough on the ankles, but it is always a different experience from the monotonous road running. Now this isn’t exactly the best option, but if the weather is really bad, even too hot, like it is here in Barcelona, then treadmill running is always an alternative. As I wrote about before, this can be a good option if it is available to you, potentially saving you from running on hard roads. Looking to contact the local running club/ organisation near to where you staying is always a long shot but actually could come with great results. If you are able to do this successfully, it is a brilliant way to meet the locals of the place, along with getting inside knowledge into where you are. One of my friends did this and was able to join in with the local club’s sessions down at their track, allowing his to gain a good insight into the way in which other people train and still keep up some high quality training.